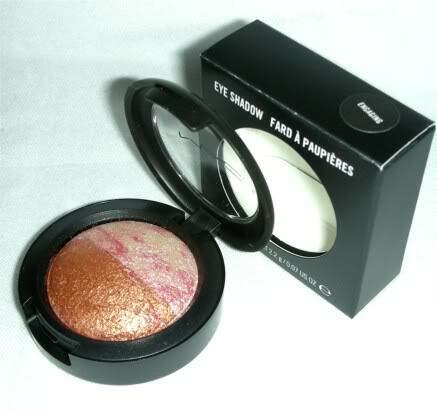 My new favorite eye shadow is Mac Mineralizing Eyeshadow Duo “Engaging”. I found it at Albertville Outlet Mall in the cosmetic store, so it was definitely cheaper than the retail price. The colors are great – you can wear them everyday or jazz it up at night by putting it on thicker. It looks a little pink in the picture, but that doesn’t show up on my olive skin. It might if you have more pink tones. I have gotten numerous compliments about how the shadow makes my eyes pop. I couldn’t ask for anything nicer! Try it out. Definitely worth the investment – especially since I use it every day! totally want this! thanks for sharing.